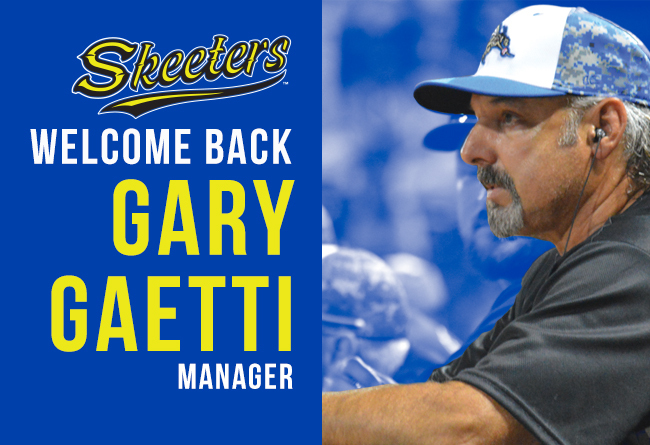 (Sugar Land, Texas, Feb. 7, 2017) - The Sugar Land Skeeters announced they have re-signed manager Gary Gaetti to a one-year contract extension through the 2017 season. Gaetti, the only manager in franchise history, was hired as the club’s inaugural manager in 2011 and will be starting his sixth year as manager of the Skeeters in 2017. The Skeeters play at Constellation Field, a state-of-the-art stadium located at the intersection of State Highway 6 and U.S. Highway 90A in Sugar Land. The Skeeters play 140 regular season games in the Atlantic League, which offers an open classification of play, the highest level of professional baseball other than Major League Baseball.